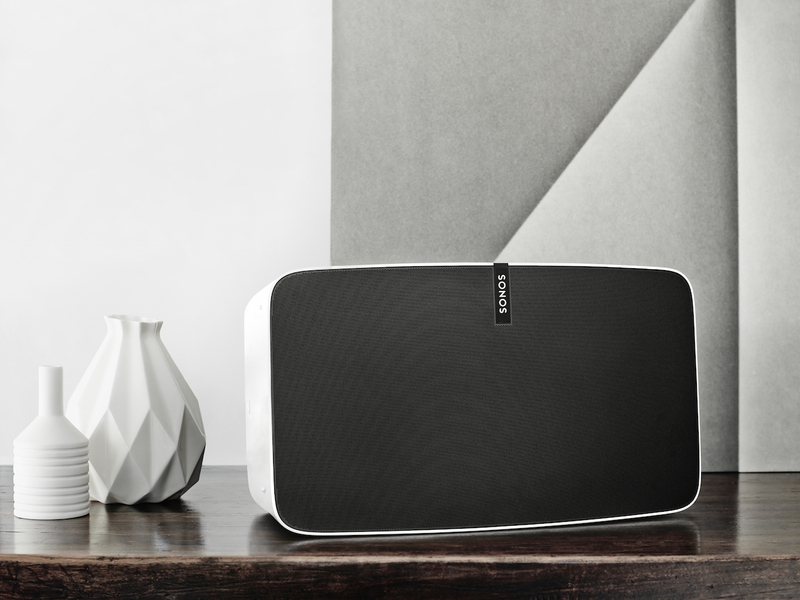 Sonos has officially unveiled their updated flagship speaker the PLAY:5. 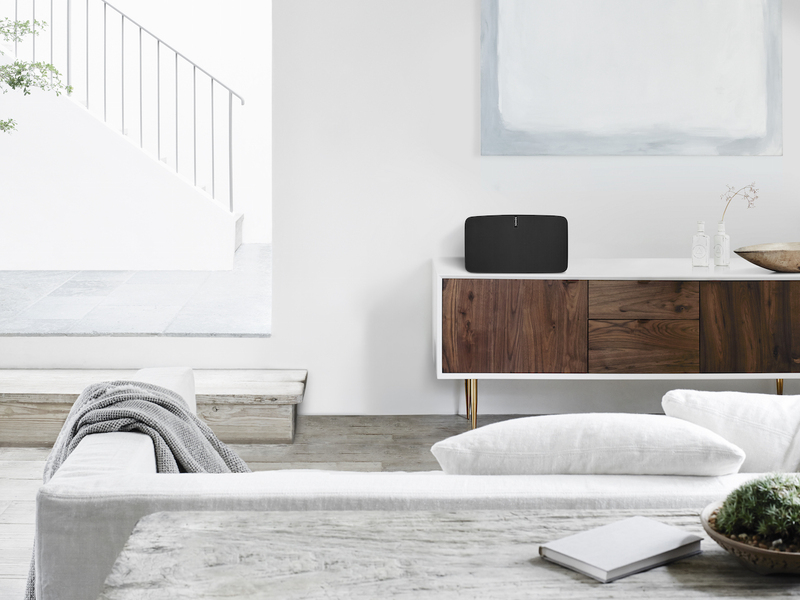 The refreshed version sees the device in a custom matte black and matte white finish, along with invisible touch controls that allow you to easily play, pause, adjust volume and change tracks. Moreover, the grill is dotted with 60,000 drilled holes to ensure optimal sound. Inside the PLAY:5 there are six synchronized drivers, three mid-woofers and three tweeters that deliver a well-balanced and consistent sound. 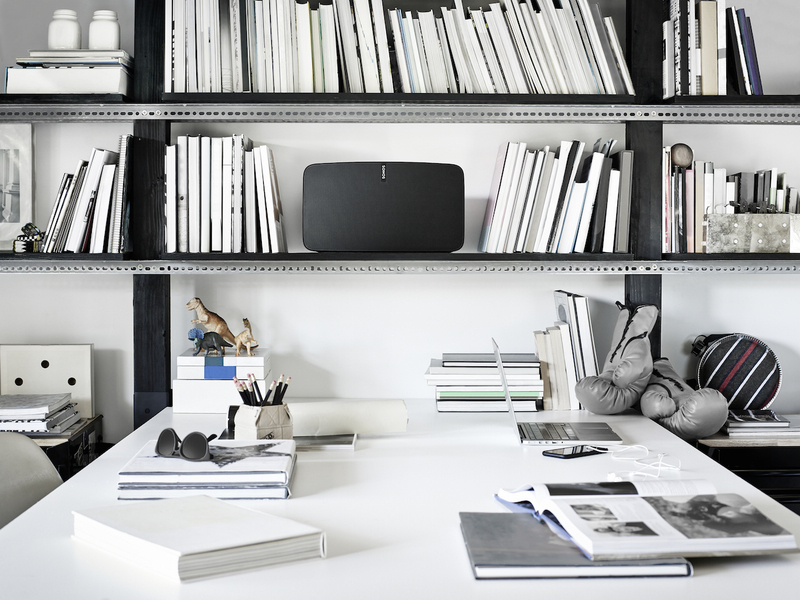 This is especially evident throughout the three play orientations that the speaker can be placed in. 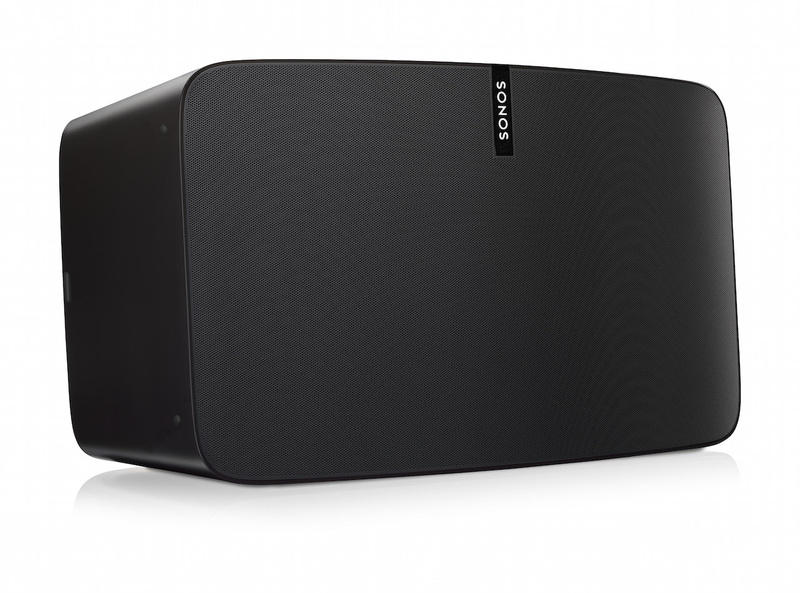 Plus, when paired with another second PLAY:5, whether vertically or horizontally, the sound will fill any room. They have also in introduced, Trueplay Tuning, a software they developed to ensure the best sound no matter where the PLAY:5 is placed. 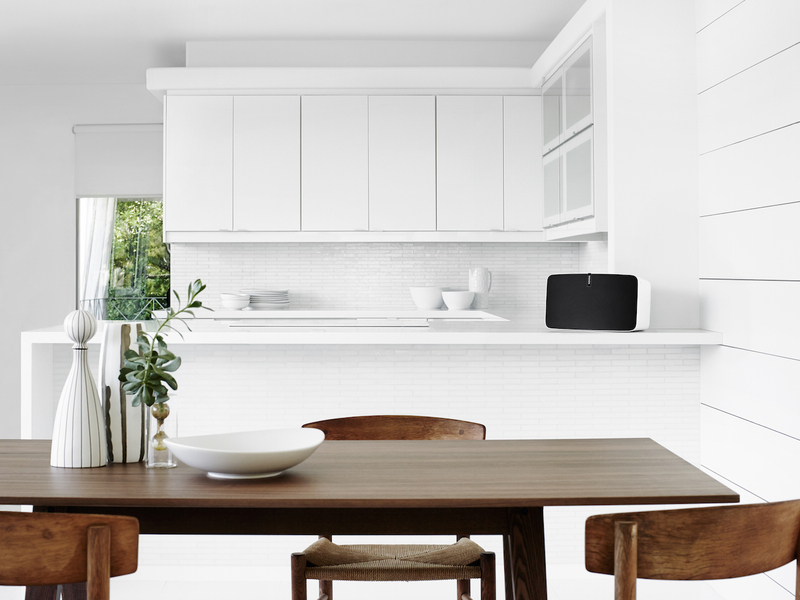 This new feature also works with existing Sonos speakers, so your setup will never feel obsolete.